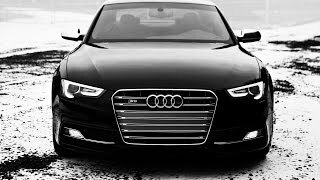 The new Audi A5 and S5 bring sophisticated design and craftsmanship, benchmark interiors and segment-leading technology and infotainment to the 2013 model year. The striking design of the Audi A5 is inspired by progressive elegance and athletic sportiness, with a driver-oriented cockpit and new luxury finishes throughout. The A5 and S5 coupe has quattro standard and six-speed manual, The S5 Cabriolet has quattro standard and is mated to the seven-speed S tronic transmission., The A5 and S5 models is incredibly powerful yet efficient. New for the 2013 model year, the S5 coupe features a 3.0T V6 engine, which replaces the 4.2 liter V8. The new 3.0T boasts V8 power with exceptional efficiency, making the S5 a powerful force on the road and complementing the RS 5 addition to the model line. The chassis of the A5 balances sporty precision with high ride comfort. Aluminum components of the five-link front suspension and the trapezoidal-link rear suspension provide responsive handling and are optimized to reduce weight. The electromechanical power steering is new in all models of the series and requires no energy for straight-ahead motion, thereby reducing emissions of up to 11g/mile. In addition, it is lighter than the previous hydraulic steering system further improving efficiency through its reduced weight. allows drivers to configure vehicle driving characteristics exactly to their liking with their choice of Comfort, Auto, Dynamic or Individual settings. The A5 exterior is inspired by sculptural elements, including a strong shoulder line, muscular engine hood, and larger front grille. Audi’s signature LED daytime running lights have been redesigned with a 3-dimentional look, making the A5 and S5 unforgettable on the road. The interior of the A5 models features new, elegant finishes, including a choice of three wood inlays, auto-dimming interior mirror with compass, and reconfigured climate and infotainment controls. The gear shift, steering wheel, and instrument panel have been enhanced with chrome and high-gloss applications. The S5 also features an optional stainless steel mesh inlay with Piano Black instrument surround and Fine Nappa leather package. 18-inch wheels are standard on the A5 and S5, and 19-inch wheels are optional on all carlines. Audi offers several advanced technology features for A5 and S5, including adaptive cruise control with “stop & go” and “brake guard” capability, which can detect stationary vehicles and apply full braking below 19mph. Driving in the A5 is also enhanced active lane assist which allows the steering to help maintain lane discipline should the driver begin to sway outside of the lane markings without setting the turn signal. Audi is the first company worldwide to feature factory-installed wireless internet, enabling the innovative infotainment system called Audi connect™. Previously available in the A6, A7, A8 and Q7, Audi connect will now be available on all A5 models, making Audi the only brand worldwide to feature this level of integrated connectivity in the B segment. With Audi connect, the onboard MMI® Navigation system is enhanced with Google Earth™ maps and real-time SiriusXM Traffic information, for a true aerial view of the route. Audi connect also features real-time localized weather, news and live fuel prices; Google Local Search for detailed information about travel destinations, such as restaurant or hotel hours, pricing and customer reviews; the myAudi Destination feature, which allows registered users to log on to Google Maps™ from any location and download up to 50 destinations to the vehicle; and a rolling Wi-Fi hotspot, allowing up to eight Wi-Fi-enabled devices to simultaneously use the wireless connectivity. - Factory-installed wireless internet, enabling features such as Audi connect™ for real-time weather, traffic, news and live fuel prices. 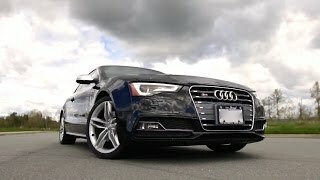 First introduced in the A7, A5 models will be first in the segment with factory installed internet connectivity.